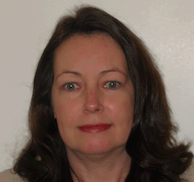 GES is pleased to announce our newest team member, Marie Hutton. Marie joined GES on November 13, 2018, as our Facility Security Officer, reporting to Phil Wendling, President & CEO. Marie has more than 25 years of experience as a Facility Security Officer for both large and small businesses. In her spare time, Marie enjoys crochet, quilt making and cross stitch. Welcome aboard Marie! 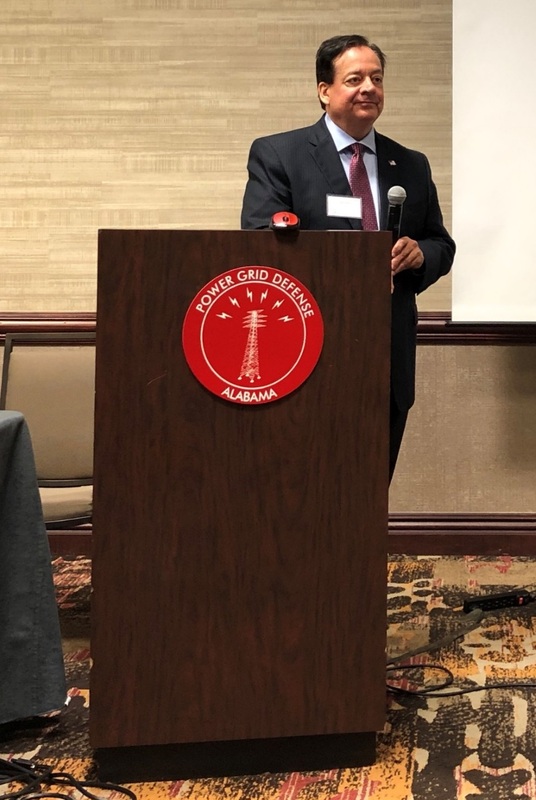 GES’s Roger Herdy, C.E.M., was a speaker at the recent Power Grid Defense Symposium held in Huntsville, Alabama. This symposium and conference was about the status and challenges of the electrical power grids that supply our nation. 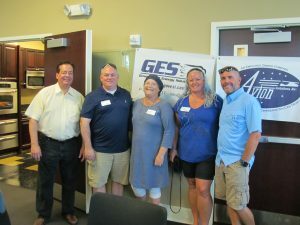 He was asked to speak about GES’s involvement in a group called Energy Huntsville (where he is Director of the Membership and Sponsorship committee), which was started by the Mayor of Huntsville to help bring business to town (GES’s Jay Newkirk is also the Executive Director for Energy Huntsville). Roger was also asked to talk about some of the electrical power generation technology for “Supercritical Carbon Dioxide Brayton Cycle” where GES has been working with Sandia National Laboratories over the last several years, and its applicability to resilient power grids. Craig Thorstens, who recently became DoD 8750 certified with CompTIA Security+, is congratulated by GES President and CEO Phil Wendling. In honor of my sister Amy Herdy who lives in Washington State and is recovering from her battle with cancer, I annually organize a Poker Tournament (see www.acstexasholdem.org). This was my 5th year, and my charity of choice was METAvivor, who funds research to cure metastatic breast cancer (see www.metavivor.org). METAvivor is dedicated to the specific fight of women and men living with stage 4 metastatic breast cancer. At the time of METAvivor’s founding, no organization was dedicated to funding research for the disease and no patient groups were speaking out about the dearth of stage 4 cancer research. While more and more people have taken up the cry for more stage 4 research, METAvivor remains the sole US organization dedicated to awarding annual stage 4 breast cancer research. I picked this charity in honor of GES employee Elizabeth Howard, who is battling stage 4 cancer. The tournament was held on August 26, 2017 and was hosted by AEgis Technologies. 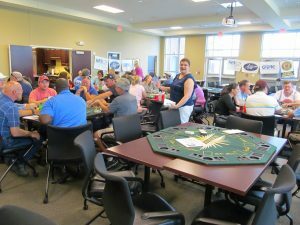 With the theme being a Texas Hold ‘Em Poker Tournament, many businesses and organizations donate door prizes such as gift baskets, cards, free services, etc. GES stood up to the plate and was a Bronze Sponsor. The GES employees who played are shown, along with shot of some of the action where you can see the banners of the sponsors. We raised over $4600 this year for METAvivor. Atlanta, Georgia, July 5, 2017 – The Association of Energy Engineers announces that Joseph R. Herdy, C.E.M. has met the educational, experience and rigorous testing requirements needed to qualify as a Certified Energy Manager® (CEM®) and has joined the ranks of over 16,000 CEMs worldwide. 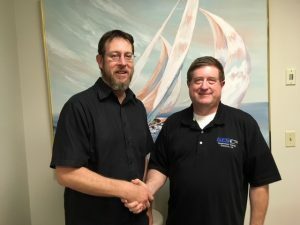 The Association of Energy Engineers, AEE, founded in 1977 is a nonprofit professional society located in Atlanta, Georgia with over 17,500 members in 98 countries. Established in 1981, the Certified Energy Manager® (CEM®) provides a recognizable affirmation of demonstrated competencies in a wide range of energy-related principles and practices. Professionals seeking the CEM® designation must meet a board-approved list of pre-qualifications of field experience, prior educational achievements, and a passing CEM exam score. The CEM® program is widely accepted and respected both in the U.S. and internationally. The CEM® designation is recognized by the U.S. Department of Energy, the Office of Federal Energy Management Programs (FEMP), and the U.S. Agency for International Development, as well as by numerous state energy offices, major utilities, corporations and energy service companies. CEM® s are now found engaged in all the various aspects of the energy industry, including major multi-national corporations: utilities; controls and performance contractors; federal, state, and local governments; universities; hospitals; regional school districts; local entrepreneurs, as well as consultants in the energy field. The designation “Certified Energy ManagerSM” is a registered service mark and CEM® is a registered trademark with the United States Trademark and Patent Office. Go to www.aeecenter.org /certification for more details about AEE Certification. GES is presenting at the 2017 American Institute for Aeronautics and Astronautics (AIAA) SPACE Forum in Orlando, FL! (see http://space.aiaa.org/Default.aspx). This event will be held at the Hyatt Regency Orlando, 9801 International Drive. Session: NSS-03, Emerging Trends, with Co-Chair Joseph Betser (The Aerospace Corporation) and Chair Roberta Ewart (USAF). Mr. Roger Herdy, an AIAA Associate Fellow and VP of Operations for GES, has a presentation scheduled for September 13, 2017 from 5:00 to 5:30; Location: Celebration 13. Presentation Title: Risk Management Framework for National Security Space Modeled in the Process Management Tool Vdot. Join us!